We know it can be daunting to bring twenty or thirty students outside for class. We've heard from many teachers that even with fully planted, flourishing gardens it's difficult to know what to do with students - how to ensure that time spent outside isn't just a second recess but an opportunity to help students connect what they're reading in their textbooks to the real world. Whether Lands and Water South has partnered with your school to install a "living classroom" or you have a natural area available to you through a past project, we can help you learn how to best utilize the space and gain confidence in working with your students outdoors. Trainings are tailored to each school, based on the needs expressed by faculty and administrators. We run half-day and full-day trainings, depending on the amount of material we're covering and whether we're working with more than one grade level. Curriculum is correlated to common core standards. For additional workshops you may be interested in, please check out the Monarch Teacher Network. 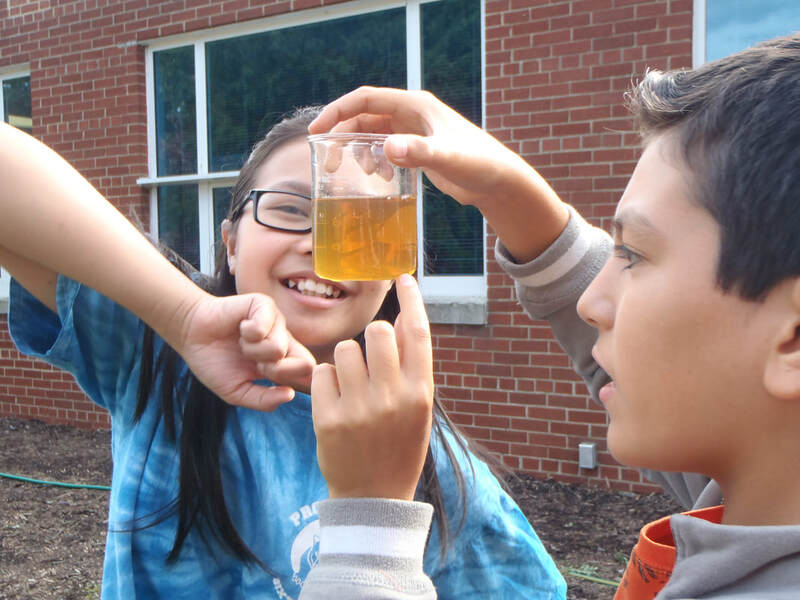 A vernal pool provides students a chance to test water quality and search for macroinvertebrates. 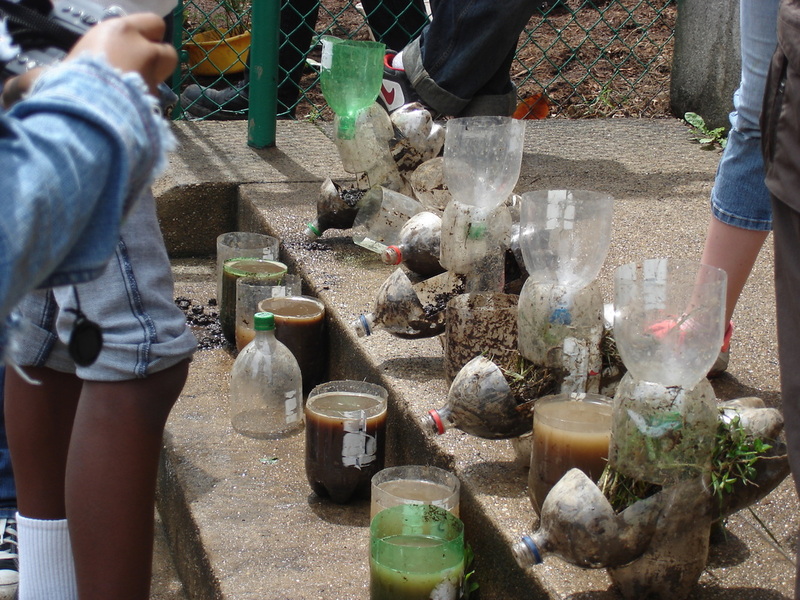 The ability of plants to curb erosion is demonstrated through a hands-on experiment on the school steps. 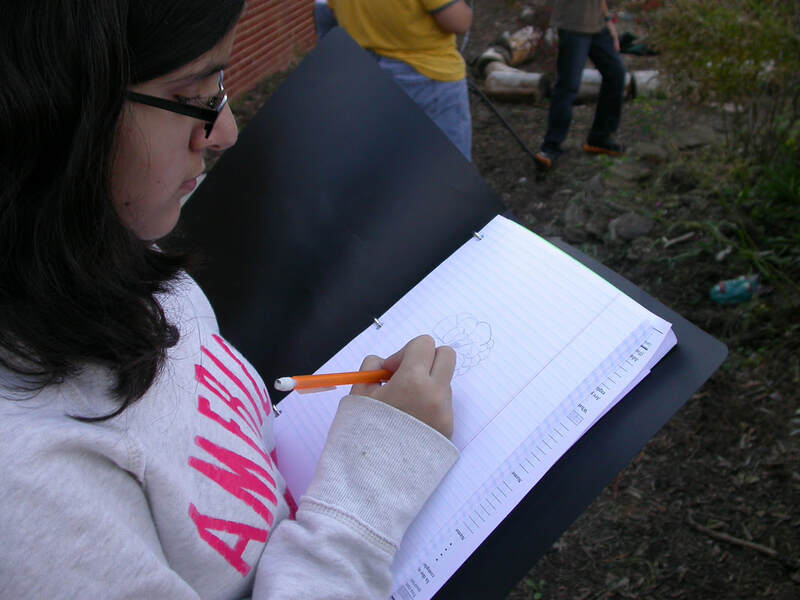 Students assess their schoolyard for available wildlife habitat.